A royal Rajasthan tour takes you back into the history of India when the country was known with the name of Golden Sparrow. 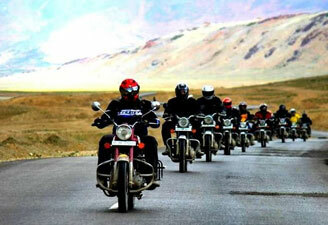 Travelers book royal Rajasthan tour package to unearth some great stories of romance, rivalry and bravery. 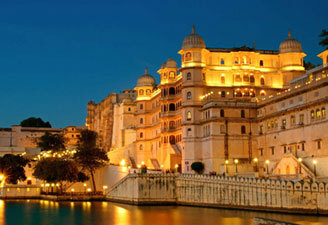 Royal Rajasthan tours weave together the grandest forts and palaces. We offer heritage tour of royal Rajasthan to let you explore its splendid cities like Jaipur, Udaipur, Jodhpur, Jaisalmer, etc. Most of the tours to royal Rajasthan cover these cities as they tell a lot about the state’s cultures, thus, boosting royal Rajasthan tourism. 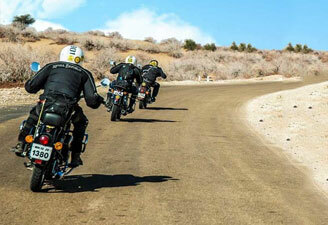 We offer royal Rajasthan package tour in all budgets and durations. Up on arrival at international airport at Delhi , you will be transferred to hotel by our Representative. Overnight stay in Delhi. Morning after breakfast, sightseeing of Jamia Mosque, Red Fort, and a walk through the small lanes of Chandni Chowk . Afternoon sightseeing of New Delhi - Laxmi Narayan Temple, India Gate, Parliament and President House, Overnight stay in Delhi. Breakfast at hotel, drive to Mandawa. Check in at hotel on arrival. Afternoon sightseeing tour of Mandawa, dominated by an imposing mirage like fort. This region is famous for its havelis and Shekhawati paintings. Overnight stay in Mandawa. Morning proceed to Bikaner. On arrival check in at hotel. Afternoon city of Bikaner visiting Lallgarh Palace, Junagarh Fort, Suraj Pol or sun gate, Ganga Golden Jubilee Museum, Bhandsar Jain Temple and Camel Research Farm. Overnight stay in Bikaner. Breakfast at hotel, drive to Jaisalmer. Enroute visit Pokhran fort. Check in at hotel on arrival. Overnight at hotel in Jaisalmer. After breakfast, sightseeing of Jaisalmer - the Golden City of Rajasthan. Visit to Fort, Manak Chowk and Havelies, Gadisar Lake, Havelis Nathmalji-Ki-Haveli, Patwan - Ki Haveli, Salim Singh-Ki-Haveli, Jain Temples. In the late afternoon enjoy an excursion to the Sam sand dunes through a camel safari up to the sunset point.. Overnight stay in Jaisalmer. Morning drive to Jodhpur. Check in at hotel on arrival in Jodhpur. Overnight in Jodhpur. Full day sightseeing visiting Mehrangarh Fort, Jaswant Thada and Umaid Bhawan Palace. Overnight in Jodhpur. Morning drive to Udaipur en-route visit Ranakpur - which has one of the biggest Jain temples in India. 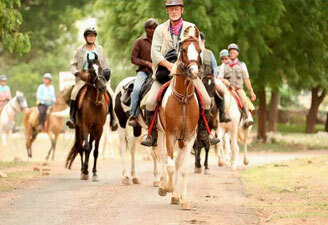 The Ranakpur complex lies in a remote and peaceful valley of the Aravalli ranges. On arrival in Udaipur, transfer to Hotel. Overnight in Udaipur. Boat ride at Lake Pichola in the morning. Then visit City Palace, Jagdish Temple, Museum, Saheliyon ki Bari, Pratap Memorial and Fateh Sagar Lake. Overnight stay in Udaipur. Early Morning proceed to Pushkar visiting Ajmer enroute. Ajmer is known for the famous Dargah of Sufi Saint Moinuddin Chishti that attracts thousands and lakhs of pilgrims and tourists every year. On arrival Pushkar, check in at hotel. Late afternoon visit Pushkar Lake, Brahma Temple and Savitri Temple. 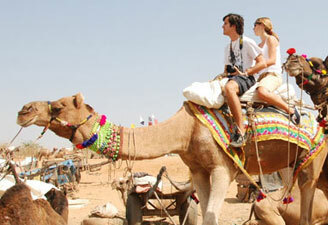 Pushkar is also well known for its Pushkar fair - held every year in October - November. Overnight stay in Pushkar. Morning drive to Delhi. On arrival, transfer to Hotel. Day free for relax. Overnight in Delhi. Depart from Delhi to leave for onward destination.